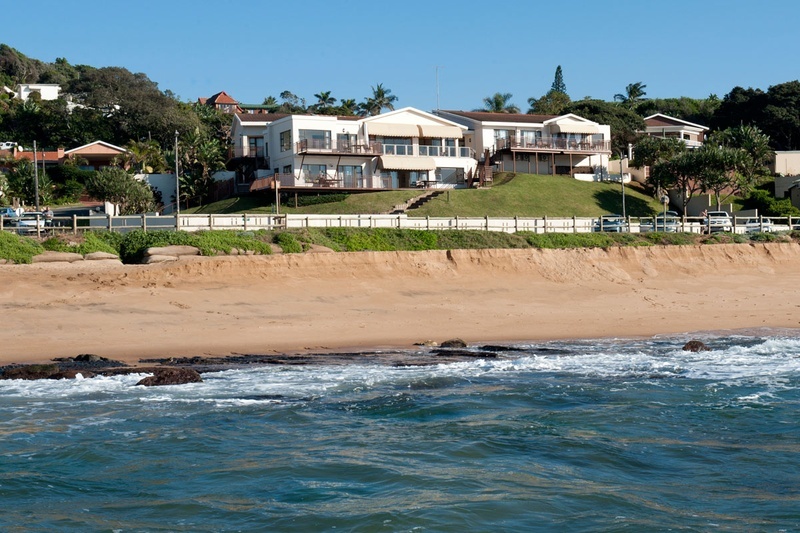 Umdloti is a little coastal town just outside Durban, which didn’t even exist at the turn of last century. Now a thriving little town bustling with restaurants, beach homes and surfers, it’s one of the best escapes on our doorstep and a weekend spent there provides the perfect antidote to city life. Back in the early 1900s, all that existed was vegetation and sand dunes. But a young Kimberley diamond prospector bought a plot of land unsighted and made his way down to Natal and then on to Umdloti by ox wagon from Verulam, to the site where he would later build his family home – a modest wood and iron cottage and the first (and at the time only) home in Umdloti. That man was Squire Bacon, and his second wife, Margaret Bacon, is whom the road on which Fairlight Beach House now stands is named. 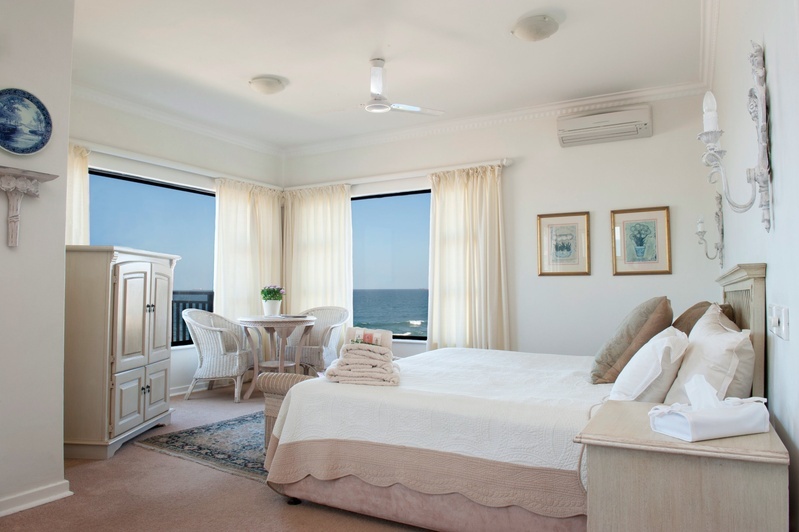 Its present-day iteration is that of a guesthouse managed by Colin Deeb, the great-nephew of Squire and after renovation and upgrades, sleeps up to 16 people in 8 beautifully appointed suites, all with the most magnificent view of the Indian Ocean – and many a dolphin or whale. Colin grew up on this very site, way before there was any development in Umdloti – he regaled us with stories of going to school in Umhlanga by tractor and having friends stay for the holidays, which felt like an adventure in a tropical jungle filled with days of foefie slides, surfing and off-road biking. Fairlight was so named after a ship which passed the house on its regular voyage from England and as Colin’s childhood home was the place where memories and discoveries were made and a love of the ocean flourished. So it was only natural that he settle back in SA after a few years abroad, to take up the management of Fairlight. I’ve stayed at numerous guesthouses in my time and while most purport to being a ‘home from home’ on their website and marketing material, this really, really was! Relaxed and laid back, yet upmarket and extremely well appointed, Fairlight is the epitome of beach chic and we felt so at home after being welcomed by Colin on our arrival. His travels have ignited a spectacular passion for all things coffee and he whipped up the most delicious brew using imported beans, to enjoy while watching the ocean and a few passing dolphin pods – heaven! We stayed in the honeymoon suite with sweeping views from the king-sized bed over your toes to the Indian Ocean and I couldn’t have been more content with the balmy sea breeze and the sound of the waves – I even had an afternoon nap for the first time in years! 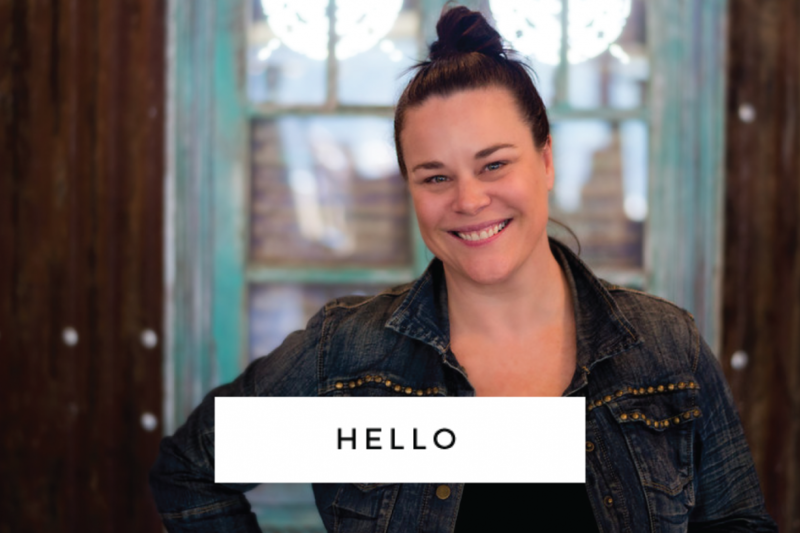 Those who know me well know I am not a beach baby – I don’t swim in the sea, nor do I enjoy a day tanning on the sand – but give me a view of the ocean from a beautiful deck and I’m one happy girl! 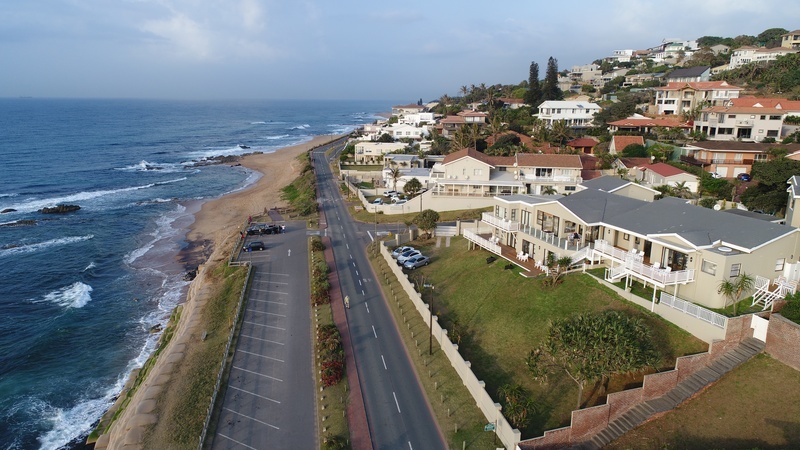 Umdloti is perfectly positioned just 10 minutes from the airport, but directly out of the aeroplane flight path and 10 minutes from Durban beaches. But you won’t need to leave – the beach here is perfect for a swim, surf or SUP and the main road is peppered with places to eat, most with magnificent sea views. We snacked at the local Sandbar and happily sipped G&T’s before returning to our suite, where wine and chocolates had been left for us to enjoy – it really is these little touches that make a place memorable. Thank you for a wonderful getaway – we can’t wait to come back!